One lamp, three (3) colors: warm, natural and cool. Touch technology means no buttons or switches, simply "touch" the lamp to turn on. Stella uses LED lights instead of special bulbs and comes with LED bulb that has a 50,000 hour lifespan PLUS, the packaging comes with it's own handle so, save the box, and use it to tote your light from quilt retreat to sewing with a friend! 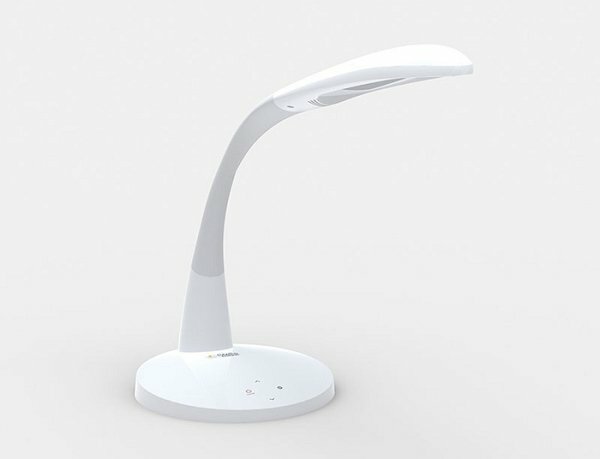 Stella also uses "Flex technology which allows you to move the lamp head to optimize the lighting.